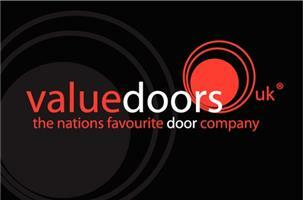 Value Doors Durham & Tees - Fascia/Soffits/Guttering, Garage Doors, Windows/Doors/Conservatories based in Bishop Auckland, Durham. You will be in the safe hands of a fitter throughout your decision making. This means you will be free from any high pressure salesmen and instead, be able to rely on the expertise and experience we possess, confident in the knowledge all advice is tailored to your wishes and not sales targets. The price you find on the website is the price you pay, whether you’re choosing a Composite or UPVC door, you will not find any hidden extras. If that wasn’t enough, all our products are covered by a ten year insurance backed guarantee, giving you even more peace of mind. Our prices are amongst the cheapest online and besides the door include: handles, locks, frame, fitting and VAT.